Since the 2009 commencement of a four-stage Pindara Redevelopment Master Plan, Ramsay Health Care has invested in excess of $110 million to solidify Pindara Private Hospital’s position as a distinguished centre for medical and surgical excellence. With vast expansions at each stage of the redevelopment, Pindara now possesses 348 licensed beds and has graduated to be the principal, both in size and scope, private hospital on the Gold Coast. 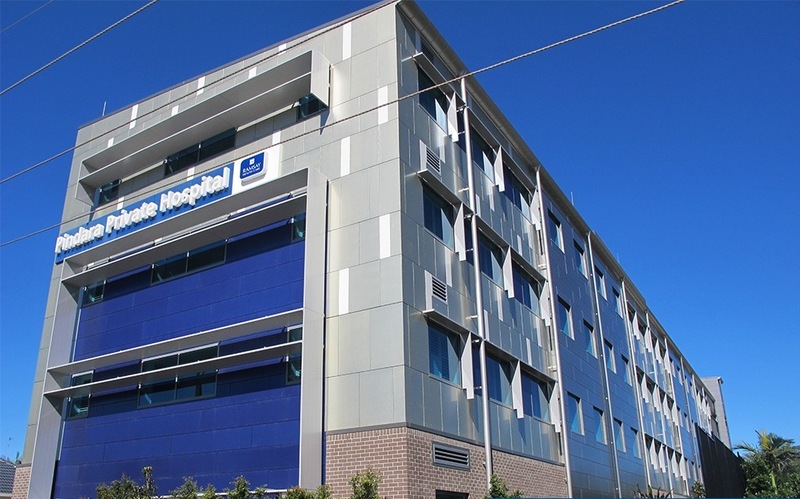 Completed in 2010, Stage 1 saw a $60million introduction of a thirteen bed Paediatric Ward, a new surgical ward, an additional four operating theatres, and a new suite of specialist rooms. Four years of further development saw the Dr David Lindsay Wing open its doors in 2014, featuring Neurosciences, Close Observation and Oncology Units as well as two further operating theatres. Three further Units, Rehabilitation, Renal and Chronic Pain, opened their doors in 2015. The expansion continued the following year, when the addition of two new operating theatres brought the hospital’s total number of theatres to 19. Most recently, Pindara has celebrated the opening of the first private emergency department in Australia. Admitting its first patients in December 2016, the new ED took one year and $12million to complete, and tripled the size of the existing Emergency Centre. The length and breadth of Pindara’s redevelopment has depended on ESCO’s manufacturing flexibility, in order to adhere to changing requirements in product specifications and scheduling. Throughout the progressive upgrades, ESCO has supplied approximately 40 custom-built Medical Service Panels, along with Meditek’s full range of electrical accessories to multiple Electrical Consultants and Electrical Contractors. Pindara Private Hospital has operated for more than 45 years, and ESCO was proud to partner Ramsay to assure it remains a progressive centre of excellence for surgical and general medical healthcare.